Today has been a rainy day here in Augusta. We are still trying to catch our breath from the holidays and New Year’s. I have been eating a lot lately. I wanted to enjoy the holidays without having to worry about the calories and just be in the moment. But now it’s time to get back to business. 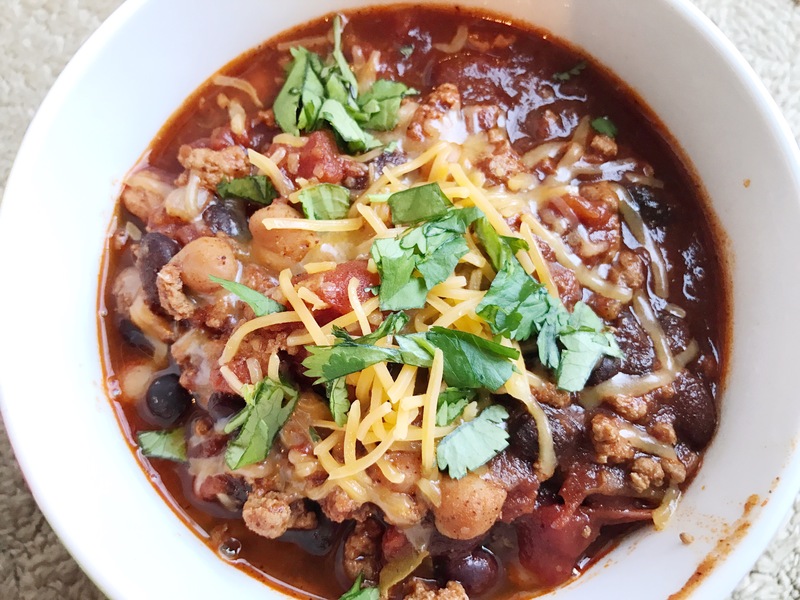 My kids love this soup because when I make it, I make a grilled cheese sandwich along side it. Heat oil in a large pot or Dutch oven over medium heat. 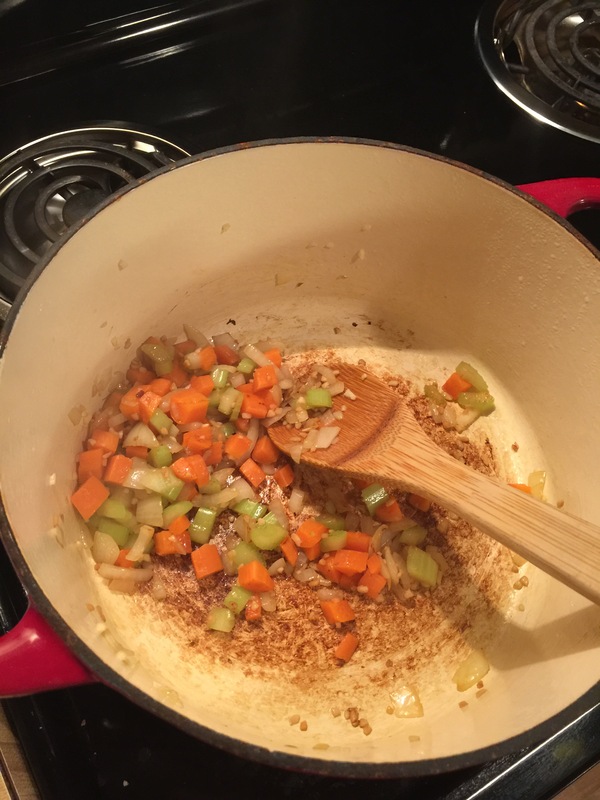 Add the carrots, celery, onion, garlic and sauté until tender and fragrant, about 6 to 8 minutes. 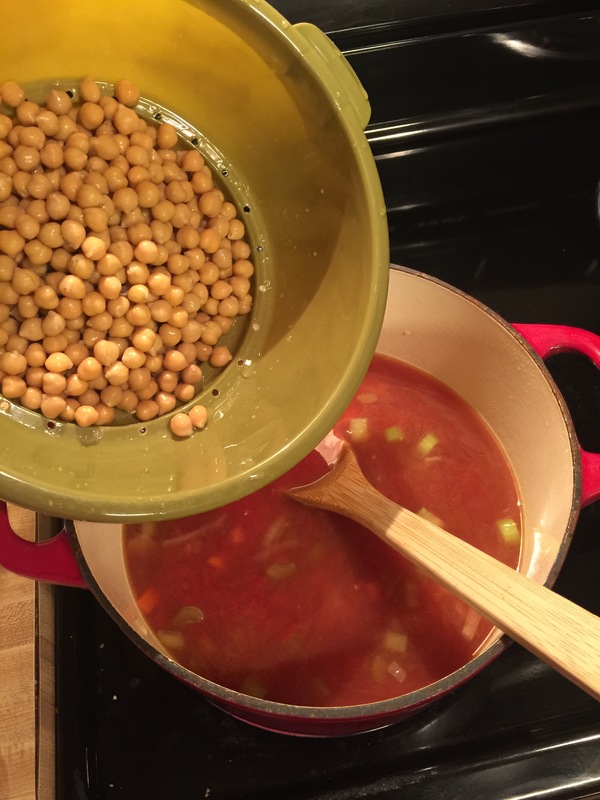 Add the broth, tomatoes, chickpeas, Parmesan cheese, and pepper. Add the rosemary, basil and Bay leaves, cover and cook on low 30 minutes. Add the spinach, cover and simmer until wilted, about two minutes. 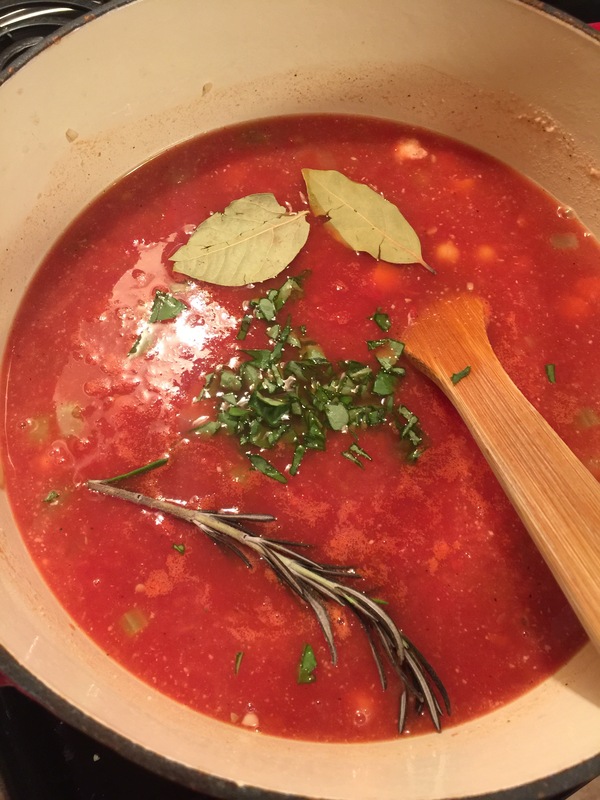 Remove the bay leaves, Rosemary Sprague, and season to taste with salt and pepper. 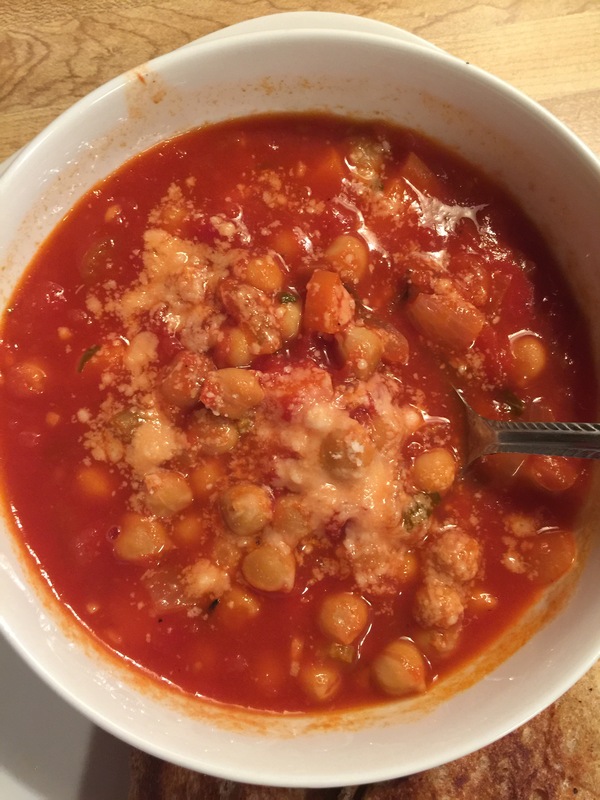 Ladle soup into bowls and top with extra Parmesan cheese if desired. This soup is 215 calories for 1 1/2 cups.